Grab a bargain at our Big Games Sale. 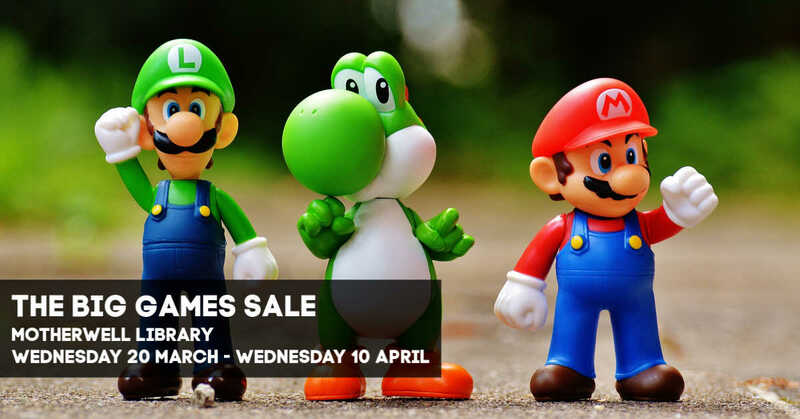 Your chance to get your hands on ex-library stock console games at a great price. Games are sold as seen. We are hosting a BIG game sale at Motherwell Library, giving you the chance to grab a bargain or two at super low costs. You can get games for all the major games consoles with titles available on PS4, Xbox One, PS3, Xbox 360 and more. Games are being sold for £1.50 or 4 for £5. Don’t miss out – once they are gone, they are gone!